As much as we love a smooth, radiant, blemish free skin, it’s a long shot for most of us. With summers here in full glory, even normal skin starts leaning towards being combination-oily. Oily skin results in clogged pores due to dead skin cells. This leads to pimples, blackheads and acne. Scrubbing is therefore necessary in order to ensure clearer and smoother skin. Oily skin, when exposed to dust and dirt, tends to attract it. Scrubbing two or three times every week is highly recommended as this removes blackheads, whiteheads and sebum. So here are our top 10 picks as the best face scrubs for oily skin and blackheads available in India. 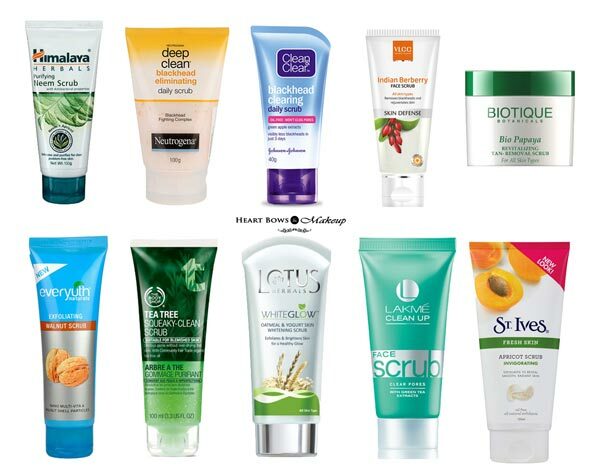 10 Best Face Scrubs For Oily Skin & Blackheads: Affordable & Effective! Neem is an antibacterial agent and is highly effective in treating oily as well as acne prone skin. Use this scrub to keep pimples and marks away. This affordable face scrub also protects skin from bacteria causing acne. 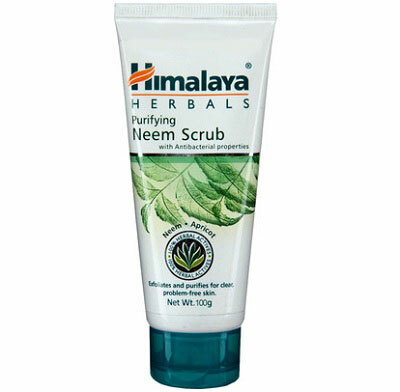 The Himalaya Face Scrub is infused with neem and apricot which works well against acne and blackheads without drying the skin. This is one of the best affordable face scrubs in India for oily skin. Oily skin has a tendency for blackhead and whitehead formation which thereby leads to acne. Hence, a good blackhead removing scrub is essential to be included in your skincare regimen. 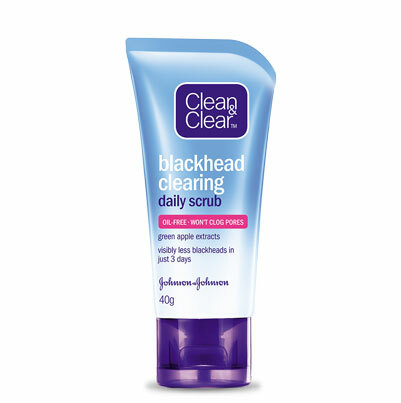 Clean & Clear Blackhead Clearing Scrub is a great option. It contains very fine tiny salt like crystals which exfoliate and scrub the skin well. It claims to reduce blackheads within 3 days and is mild enough to be used daily. One of the best face scrubs for removing blackheads in the market. If you prefer slightly abrasive face scrubs then this is the perfect option. 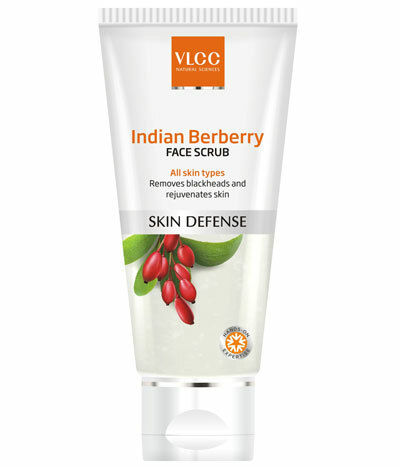 The VLCC face scrub is perfect for oily skin which removes dead skin and makes the skin glow. It also reduces blackheads and whiteheads on the nose and chin if used regularly. This has to be one of the best and our favorite VLCC products which we highly recommend. Also, Berberry is a great ingredient which prevents the formation of wrinkles and fine lines. 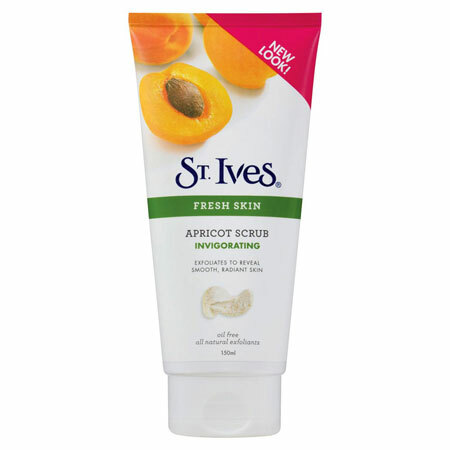 If you are looking for an effective face scrub for sensitive and oily skin then St Ives Apricot Scrub should be your pick. It contains 100% natural extract and the ground walnut powder is gentle yet effective in exfoliating the skin and reducing blackheads. It also contains 2% Salicylic acid which is great for treating acne without drying out the skin. The presence of tea tree in this scrub makes it ideal for fighting against acne and pimples. The TBS scrub gently exfoliates the dead skin layer and unclogs pores. Tea tree oil is as effective as benzoyl peroxide in the treatment of acne. But unlike benzoyl peroxide there are no negative side effects such as reddening or peeling of skin. 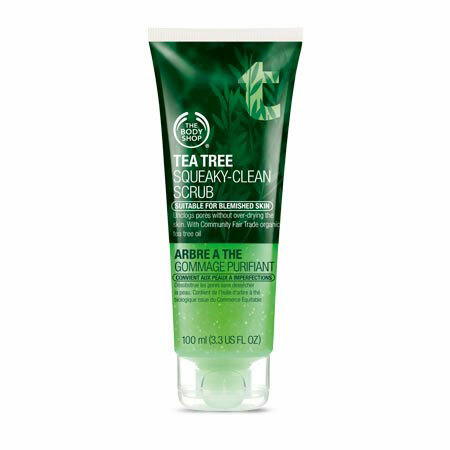 The tea tree scrub is also very effective at reducing sebum and highly recommended for oily and acne prone skin. Best Affordable Face Scrubs in India For Oily & Acne Prone Skin – Top 10! One of the best drugstore face scrubs for fairness and oily skin, this effectively removes dirt, exfoliates the skin and makes it look brighter. 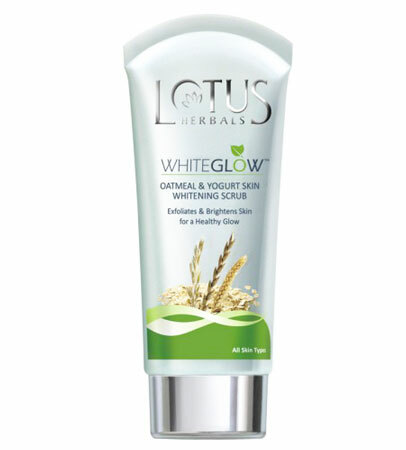 It contains oatmeal which restores the natural moisture of the skin and the presence of yoghurt helps lighten the skin. It has a very mild fragrance making it perfect for those with a sensitive nose. 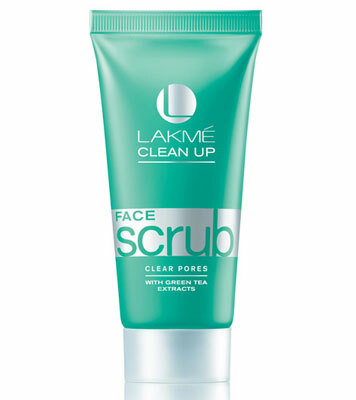 The Lakme scrub comprising of green tea extracts, is ideal for oily-acne prone skin. The scrub isn’t too abrasive as it exfoliates the skin gently resulting in smoother, clearer skin. Skin looks rejuvenated with a gentle cooling effect. A small amount of this product is enough to combat dullness and dead skin cells. Here is an effective scrub true to its cost. It prevents and treats acne within no time. 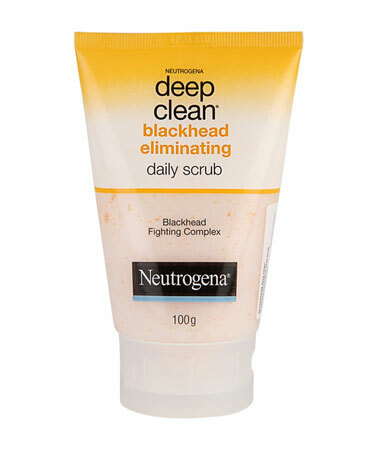 The Neutrogena scrub eliminates blackheads and whiteheads due to its cutting edge MicroClear technology. It works from deep within the skin to prevent clogging of pores and nips acne causing sebaceous glands at the bud. One of the top face scrubs in India for blackheads. 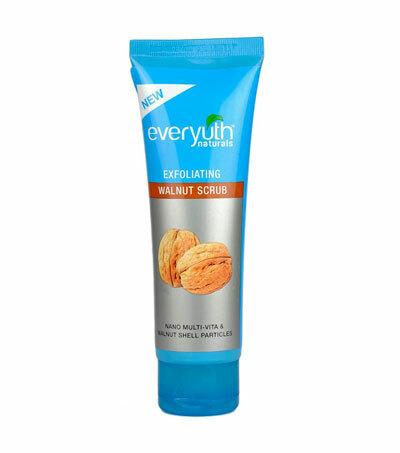 This affordable face scrub contains walnut particles which gently exfoliates the skin. 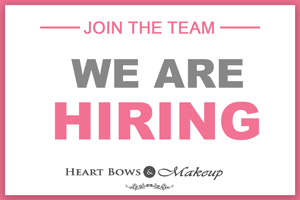 It leaves your skin feeling smoother and softer with every use. This Everyuth scrub removes blackheads, oil and dirt with ease. Walnuts are great for the skin as they are rich in Vitamin B and Vitamin E. This scrub doesn’t have too many chemicals so it is not harsh on the skin and is perfect for oily-acne prone skin. This scrub is thick and creamy in texture leaving the skin clean, free of blackheads and dirt. It also claims to reduce acne marks and is great at reducing sun tan. 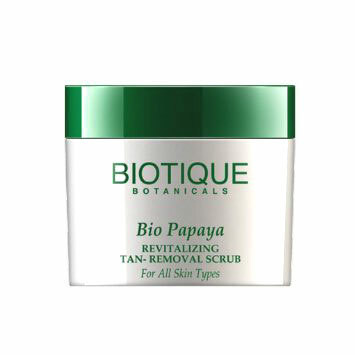 The scrub contains Papain which is an exfoliating agent and restores the glow of your skin by removing dead skin cells. So those were the best face scrubs in India for oily skin and blackheads which are affordable yet very effective. Do let us know your favorites below! Wedding Makeup & Skincare Tips: The Perfect Guide For a Bride To Be!